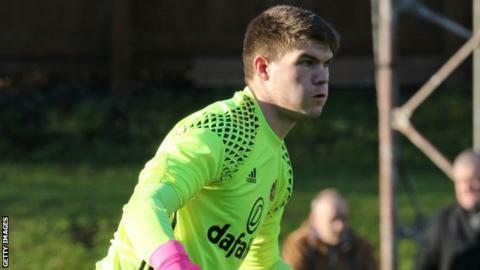 Accrington have signed Sunderland keeper Max Stryjek, Derby defender Farrend Rawson and Middlesbrough defender Callum Johnson on loan. Polish keeper Stryjek, 21, has signed until the end of the season while Rawson, 21, will stay until January. Johnson, 20, will also join Stanley until January and made three EFL Trophy appearances for Boro last season. Centre-back Rawson is yet to make his Derby debut but has had loan spells at Rotherham and Coventry. Stryjek joined the Black Cats from MKS Polonia in 2013 and was capped by his country at under-19 level. "We have beaten off a couple of clubs to get him which is a coup for Accrington as we usually get the last pick," said manager John Coleman.